For the Safest Environment, Use the Latest Technology in Your Home! 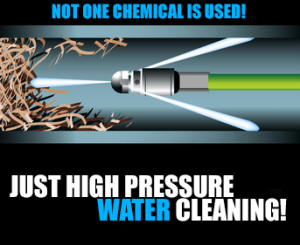 Hydrojetting is an effective way for drains to be cleaned safely and efficiently. Plumbers force water through the drains by using high pressure in order to clear an obstruction in the drain. The machinery that is used for hydrojetting is highly specialized equipment that should only be operated by a trained professional. Misuse of the machine, with its high pressure water, could prove fatal. Homeowners that are faced with clogged kitchen drains typically employ the services of a plumber to clear the grease out of the drain. A rising number of plumbing professions are using hydrojetting equipment to clear the grease out of a kitchen drain because it is far more effective than using mechanical or chemical means. The high pressure water will push the grease through the drains and free it up so that waste water can flow through the drain once more. Tree roots can be a huge blockage problem if not corrected. Tree roots can be removed by a professional using a hydrojetting machine in a short amount of time. Typically, it takes a long time for the tree roots to grow back; clogging the drain, but routine drain maintenance with a hydrojetting machine can help to ensure that the drain pipes are clean and ready to work correctly. Debris that has been introduced into a drain system, and is now clogging it, can now be removed using hydrojetting. Most debris can be removed in a single use of the hydrojetting machine by a plumbing professional. However, there have been cases where multiple uses may be necessary to fully unclog a drain. This is due to the make up of the debris that is obstructing the drain. If it made from a thin material, or is quite porous then it will probably be broken up, or carried away, in a single application. 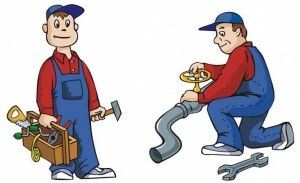 If the debris is quite dense then it could take several applications in order for the debris to be swept from the pipe. It is a good idea to have a plumber perform any, and all, hydrojetting projects in a home in order to make sure that the work is done correctly, is warrantied, and that the risk of injury or property damage is minimized. A growing amount of people are finding out that hiring a plumber that uses a hydrojetting machine to unclog drains is the best route to go. Stop waiting for the perfect time to take care of your home’s drains and call Heidler, Inc. at (410) 268-7191 today for Hydrojetting services in the Annappolis area!